Meghan Markle might have designers clawing at her heels to dress her, meaning she's got practically any item of clothing within her reach, but the Duchess of Sussex has chosen to follow in the footsteps of her sister-in-law, it seems, by recycling a number of accessories. Kate Middleton is famed for her snubbing of fast fashion, opting to re-wear outfits, months and even years after she was first seen publicly in them. And now Meghan Markle has been seen doing the same. 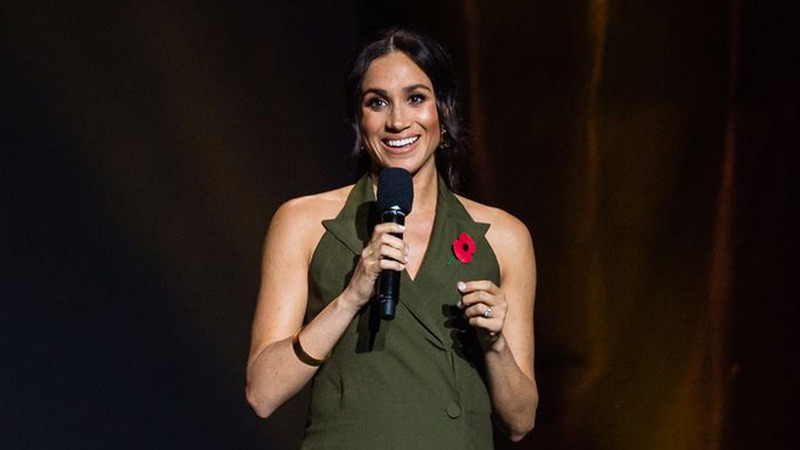 Meghan is currently on the last leg of her 16-day tour of Australia, Fiji, Tonga, and New Zealand with husband Prince Harry. The couple traveled today from Sydney to Wellington in New Zealand, where they were greeted with a traditional welcome ceremony on the lawns of Government House. While the Duchess arrived in New Zealand wearing a plaid coat over a black dress, she left Sydney wearing an entirely different outfit. 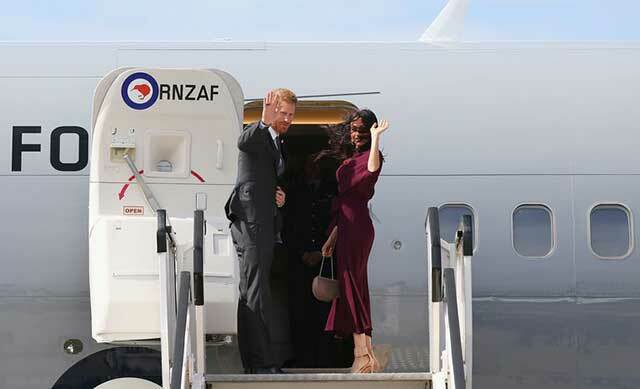 She was pictured boarding the Royal New Zealand AirForce flight to Wellington in a high-necked, burgundy Hugo Boss dress. 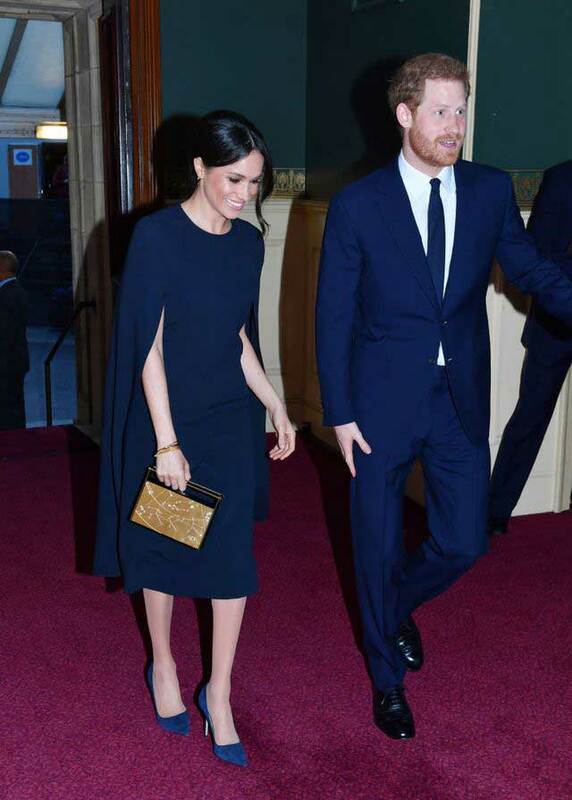 Meghan paired the full-length dress with some light peach Aquazzurra pointed heels with a buckle around the ankle, and a Cuyana mini chain saddle bag. 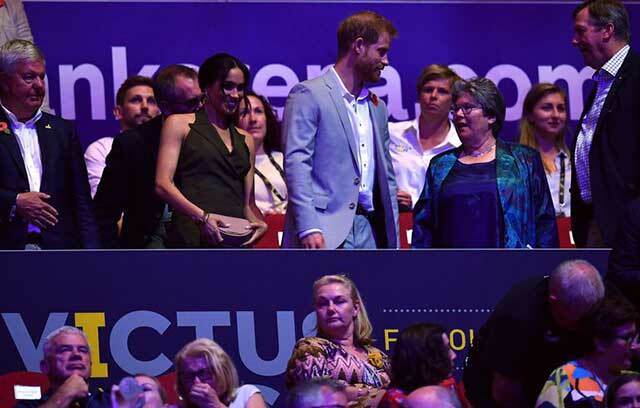 But those who have been monitoring the Duchess' many outfits during the tour will notice that she wore the same combination of accessories just one day previously, at the Invictus Games' closing ceremony. It's not the first time Meghan has re-worn something familiar on this trip. 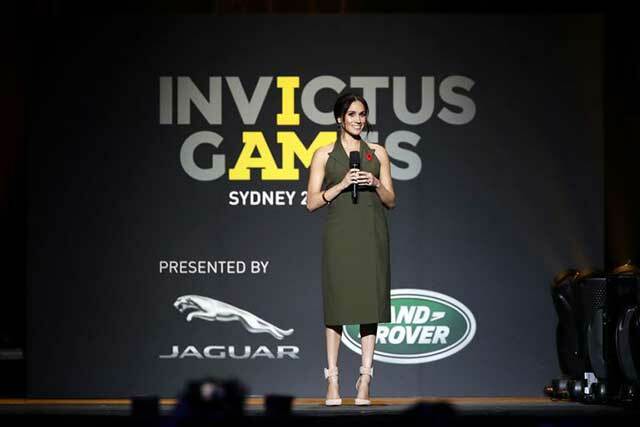 At the opening ceremony of the Invictus Games in Sydney, the pregnant royal wore a black Stella McCartney cape dress. But you might remember she also wore the same (or very, very similar) dress to the Queen's birthday celebrations at Royal Albert Hall back in April. 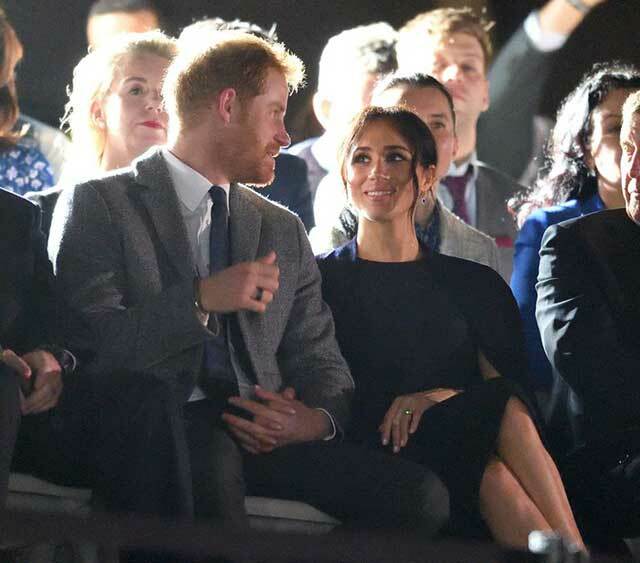 To mark the monarch's 92nd birthday, the royals held a star-studded concert at the London venue with performers including Shaggy, Sting, Kylie Minogue, Sir Tom Jones, and Craig David. Meghan and Harry's royal tour concludes on Wednesday this week, when they'll head back to London, and Meghan—who is thought to be around 12 weeks pregnant—can get some much needed downtime.